Testimonial by Juan Pio Hernandez » Anna Helm, Ph. D.
Current Affiliation and Title: Masters Student at the GWU Elliott School (In the International Trade and Investment Policy Program). Associate at Allen F. Johnson and Associates. I first met Prof. Helm in the fall semester 2006 when I took her course IBUS 160 (Introduction to International Business) and enjoyed the class so much that I took a second course with her, IBUS 166 (International Marketing) in my last semester senior year in the spring 2008. Among all my professors at GW, Prof. Helm was the most engaging and resourceful professor I had and the one from whom I learned the most during my studies at the George Washington University. In both courses that I took with Prof. Helm, she showed to be very proficient in International Business and International Marketing in particular. She is very good and clear explaining course topics and has ease leading interesting discussions and engaging students in these discussions. Her international background and experience is very useful when it came to explaining the international topics covered in class. Perhaps the two features of her classes where I learned the most was with the major group projects in each class. In the Introduction to International Business we did a negotiations project where students acted as either a multi-national corporation, a developing country’s government or a small local company in these developing countries. With the rigorous research required to prepare and the negotiations itself I learned valuable issues that involve international business and how to use the lessons learned in class in these hypothetical situations. In the International Marketing class the project was developing a plan for a specific company to enter a new country. This project required the team to make a very thorough analysis of the country, the company and the country’s market. These two projects were very challenging and rewarding once finished. The process oriented focus of the projects that involved a complete first draft, followed by extensive feedback and then the completion of the project and professional presentation was very similar to real life situations. These two projects taught me valuable lessons for real life professional situations that have been very useful in my professional career. In the process of doing these projects Prof. Helm made herself available for students with questions and was very helpful and useful answering these questions and engaging students in their projects. Prof. Helm is also very good involving students in the International Business field and inspires them to use sources outside of the classroom. One assignment for the class consisted in attending an international business focused event in Washington. This helped students find resources that the city has that could be used for our advantaged. Prof. Helm also organized career panels where professionals in the International Business field discussed their career experiences. This was very useful for students to try to figure out their plans after graduation and hear advice from professionals in the field. Prof. Helm is also very knowledgeable and proficient in Green Technology and the marketing tools to promote it. In today’s market where there is a high demand for green technology and a growing awareness of the climate change issue, having somebody so proficient in this field would be a great asset for the university. Perhaps Prof. Helm’s most valuable attribute is her commitment to the students and her level of involvement with the students in her classes. Every time that I needed to contact Prof. Helm for a class related issue, I got a prompt response and very useful feedback about the topics that I was contacting her for. This was the case at all times. I was very moved with Prof. Helm’s dedication to her students, even during tough moments in her personal life. This availability with her students has not changed after my graduation from GW. Prof. Helm has been very helpful when I contact her for tutelage of any kind, and I know that she is like this with all of her students. 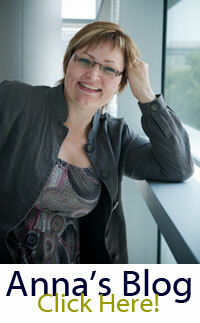 Professors like Anna Helm are a great asset and the ones needed to build a stronger GW community. Being an active GW Alumni (Member of the Luther Rice Society) and a strong advocate of the International Business program, I believe that Prof. 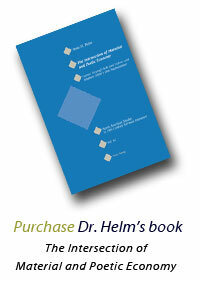 Helm would be a great asset to the permanent teaching body of the International Business department. I believe that with Professors like Anna Helm, the program will continue moving up the rankings and creating pioneers in the International Business world.